I think we all dream about finding our soulmate. Some search their entire lives looking for their other half, others are lucky enough to find the person who makes their life complete immediately. 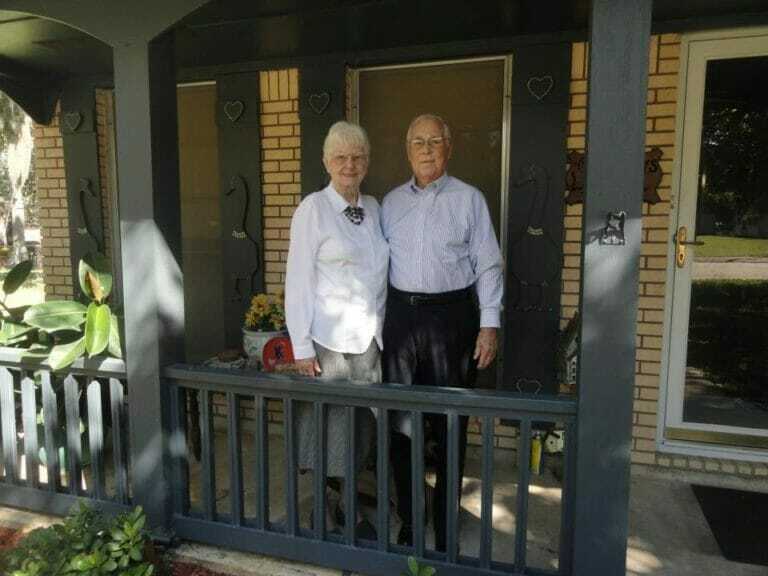 So it was for Tom and Delma Ledbetter – it’s hard to find a love story as incredible as theirs. The Ledbetter’s story is no work of fiction. The couple first met in their early 20s through mutual friends, according to Click2Houston. “They drove around two, three different blocks or whatever and they came back and they parked and he said he reached over and he grabbed her hand and he said, ‘I don’t know what made me do it.’ He said, ‘I just reached over and gave her a kiss on the cheek,’” said Donetta Nichols, one of the Ledbetters’ daughters. 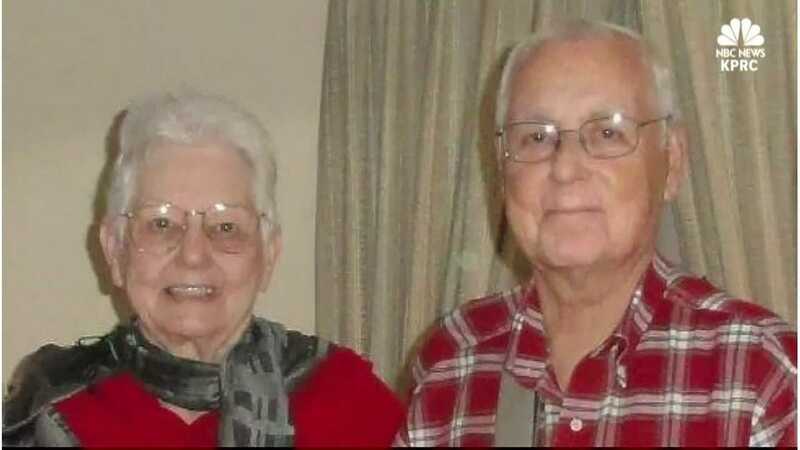 Tom and Dela married just three weeks later and 62 years later, the couple were still inseparable. Two daughters soon followed, then grandchildren and then great-grandchildren. Tom and Delmas life was filled with love and laughter. Sadly, Delma’s health began to fail in April 2017. She was then admitted to a nursing home and Just a few days later, Tom fell ill too. “We got him over to the nursing home with Mama. They had pushed their little beds together and Mama was laying right there, facing him. She was asleep and Daddy goes and he reached over there and he grabbed ahold of her hand and he just laid there with her, and it was so sweet,” Donetta Nichols said. The couple passed away, hand in hand, just an hour and a half apart. 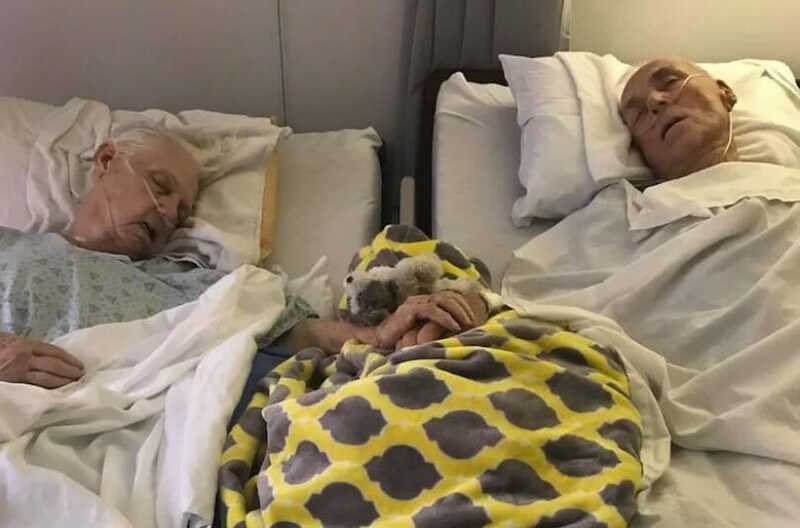 One of the Ledbetter’s granddaughter, Stephanie, snapped a photo of the two during their final hours together. That heartbreaking photo quickly spread across the internet and touched millions of people. Tom and Delma were laid to rest side by side at Restwood Memorial Park in Clute, Texas. Love: The most powerful force in the Universe! 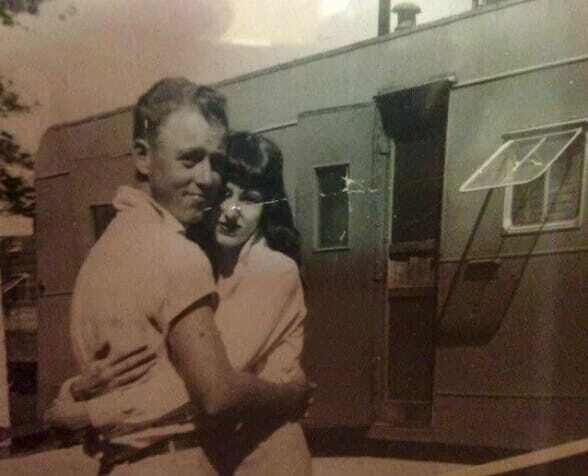 After reading about Tom and Delma’s story, I’m more convinced than ever that not only does true love genuinely exist, but there is someone out there that we are meant to spend our time on earth with.